The Association of the Ladies of Charity, Diocese of Pittsburgh Investiture Mass was presided by Bishop William Winter at St. Paul Cathedral, followed by a Banquet at Rodef Shalom Ballroom on Sunday, April 29, 2018. 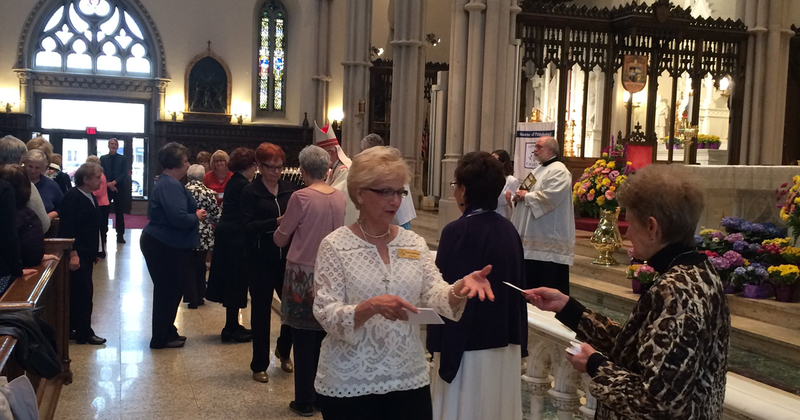 113 women were invested at the Mass as new Ladies of Charity. The Banquet, attended by 400 members, honored 26 women celebrating 25 years of service with the Ladies of Charity. They were given Service Award Medals in recognition of that service. Special recognition was given to two of our “Pioneer” Ladies– who have passed away– but did the groundwork to foster the 1,500 members in the Pittsburgh diocese: Service Award medals were given to the family members of Mrs. Annette Scheid and Mrs. Grace Eckhardt. Pictures taken by Peggy Keene. Click to enlarge. The Ladies of Charity of the Diocese of Pittsburgh are grateful to have had the experience of Annette Scheid’s many years of guidance and leadership. Annette, like the Ladies of Charity, has a long history of personal service. A mother of 4 children, she was also a school teacher for the Etna and Deer Lakes School Districts and a recipient of the Diocesan Manifesting the Kingdom Award. She spent a considerable amount of her life helping others, including driving cancer patients to their treatment, volunteering at her local hospital and working at her parish festival. In addition to her volunteer activities with the All Saints Parish Ladies of Charity, Annette had a valued history as Co-Chair of Pittsburgh’s Ladies of Charity Emergency Fund for the Elderly. Annette poured her energy into it and because of her efforts, this fund, which aids many elderly residents of the area, continues to flourish. Annette held many positions on the Diocesan Board of the Ladies of Charity including serving as President. However, it is her years of mentoring as the Diocesan Board Chair (following the death of Grace Eckhardt) in which Annette gave continued stability and passed along her knowledge of the rich history of the Ladies of Charity. She instilled in the Board the importance of keeping the roots and traditions of the Ladies of Charity in the forefront so that we may continue the work of St. Vincent de Paul, St. Louise de Marillac and St. Elizabeth Ann Seton. Annette illustrated by example the virtues of humility, simplicity and charity. In June 2016 Annette celebrated her 100th birthday. We lost her on November 7th of that year – but we are happy to have 3 of her children here today to accept the Service Award Medals in her memory – if Kathy, Nancy and Mary Alice can please come forward. 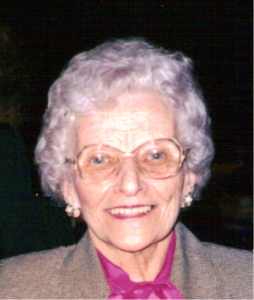 From her role in the founding of the Ladies of Charity in the Diocese of Pittsburgh, Pennsylvania in 1959 until her death in November 1993, Grace Eckhardt continually sought to promote the ideals and works of the Ladies of Charity. Born on February 22, 1913, charity struck a chord with her while attending Elizabeth Seton High School where she was taught by the Sisters of Charity. 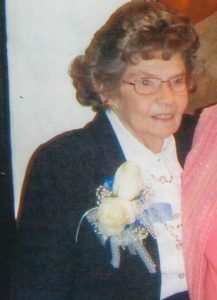 A homemaker and mother of 3 children– Lois, Fred and Marilyn– she was also a devoted and tireless volunteer with a sense of determination that enabled her to build the Ladies of Charity of Pittsburgh’s membership to great numbers and, for so many years, was the heart of the Ladies of Charity. Grace served the Ladies of Charity locally as both the Diocesan President and as the Diocesan Board Chairperson, and she was the Founder and Chairperson of the Ladies of Charity Emergency Trust Fund for the Elderly. On the national level, she served as President and later served as Vice President for the Association of International Charities. At Grace’s funeral, then Pittsburgh Bishop Donald Wuerl (now Cardinal Wuerl) said: “the Church in Pittsburgh is closer and more connected because of Grace Eckhardt. She was always absolutely clear on the ultimate goal– to seek out the needy, giving to God through her service to the poor and elderly. Grace was able to see Jesus in every person.” These words are a fitting tribute and example of Grace’s legacy in the Ladies of Charity. If Grace’s children– who are with us today– Fred, Lois and Marilyn– can please come forward and accept these Service Award Medals as a token of appreciation for their mother Grace and all her good works for the Ladies of Charity. What a wonderful spirit-filled day for the Pittsburgh Ladies of Charity! Congratulations to the new members! I look forward to seeing everyone in September as we remember the past & embrace the future as Ladies of Charity. We look forward to seeing you there — I missed seeing everyone at Emmitsburg last October — so can’t wait to see everyone in September.